Anton Appelqvist was born in St. Petersburg, Russia, and migrated to Finland where he lived until the age of 13. He moved to San Francisco, then Portland, then Las Vegas, and finally to Dallas where he completed his physician assistant studies at UT Southwestern in early 2008. He has worked in the ER at Denton Regional Medical Center and Baylor Grapevine. 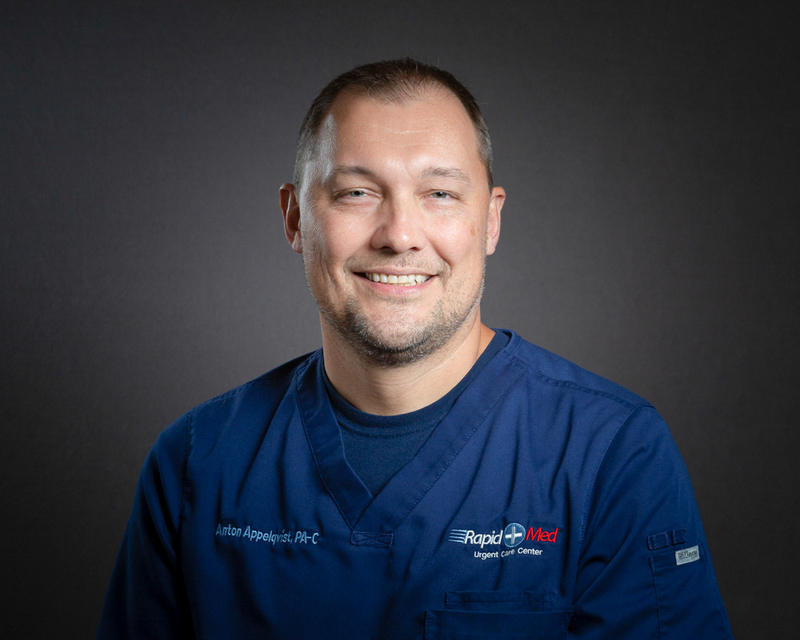 He began his career with Rapid Med Urgent Care in 2009. He enjoys interacting with patients and performing different medical procedures. Anton comes from a long line of healthcare professionals. His father, Henrik, continues to practice as a family medicine doctor in Finland. Anton is very proud to have become an American citizen in May 2013. He is married with two daughters who keep him running. Travel is a passion he enjoys with his family – exploring different parts of the world and interacting with those cultures. He feels lucky to work in the same community where he lives – improving the lives of his patients.